As Schooner Adventure embarks on her next journey, sailing as a community educational resource from her berth at Maritime Gloucester, she will provide experiential learning programs to students and adults of all ages. 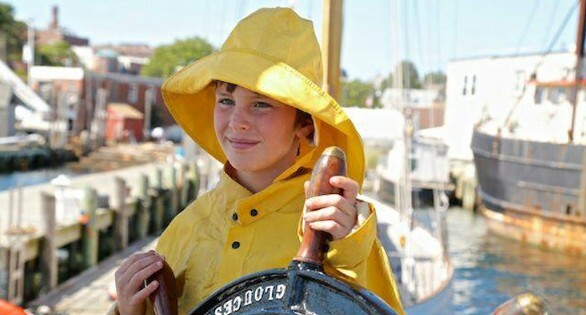 At her core will be programs about the history of schooner fishing from the earliest days, but specifically about Adventure through the years and what she meant to Gloucester and the Cape Ann community. Dory fishing was a way of life for thousands of men and our docents will discuss this with our visitors and passengers. Adventure’s original design, subsequent transformations, and her lengthy restoration will also be a major topic. The Gloucester Adventure Inc. organization is forging partnerships with local institutions and foundations to develop curriculum to be taught on board Adventure, aiming for diversity in student demographics, from K-12, higher-ed and adults seeking continuing education. Adventure will be based in Gloucester but will sail to nearby ports to make her a regional educational resource. We will develop collaborative programming with nonprofit organizations in areas where Adventure used to sail as a fishing vessel including the following: Boston, Provincetown, New Bedford, Nantucket, Martha’s Vineyard and Portland, Maine. We will share our history in these areas, and help raise awareness of our partner’s missions. The vessel is a floating museum and classroom. There are only five schooners like Adventure in existence, and only Adventure has been fully restored to sailing conditions. The conversion of the former Fish Hold into the Adventure Learning Center will enable us to utilize the vessel when she is dockside as a classroom and laboratory for students of all ages to engage in programming ranging from sustainable fisheries and environmental issues, to marine biology. Additional courses might involve physics (vessel design), celestial navigation or the culture of a fishing based community. Modern AV equipment will make the Learning Center a truly unique environment for learning. To date our educational programming has been focused on Gloucester’s history and the evolution of the fishing industry, including extensive research into the methodologies of dory fishing utilized on Adventure. This programming has been generously supported by the Applied Materials Foundation, Bruce J. Anderson Foundation, David Greenwalt Foundation, Dusky Foundation, Mass Humanities, New England Biolabs Foundation and the Thomas Anthony Pappas Charitable Foundation.